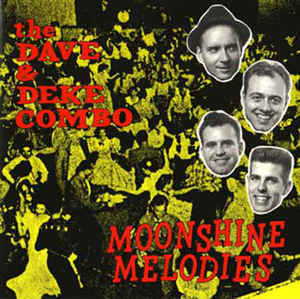 Although the split of the Dave & Deke Combo gave us two great solo artists (and as a bonus it also gave us a fantastic drummer), sometimes we were missing the Combo, its harmonies and its humor. So when reunion gigs were announced everyone knew it would be a major event of 2005. The first gigs in Vegas and Oneida were a huge success. 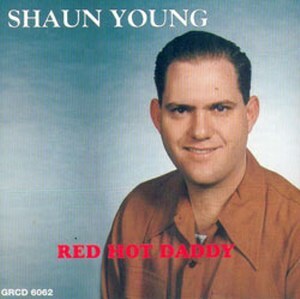 And to celebrate this reunion the band decided to release a rarities cd. Tracks 1 to 6 give us the occasion to hear the combo with Bobby Trimble on drums. These tunes com from their first 8 tracks demo. 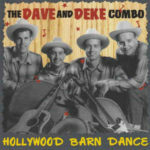 One can find the other 2 songs on the cd version of Hollywood Barn Dance. 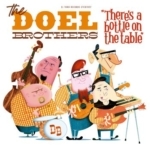 You’ll also find live cuts, unreleased songs from the Moonshine Melodies and Toerag studios sessions as well as rare to find vinyl only release. I won’t go more into details as the liner notes explain it all. 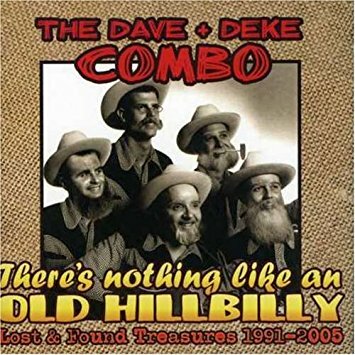 It’s interesting to see that a lot of these songs are still in the Deke Dickerson’s repertoire today like «Red Headed Woman», «Love Me» (not The Phantom’s one) or «Lookin for Money». And icing on the cake you’ve got a brand new recording by the band. Elvis’ In the Ghetto is given the Homer & Jethro treatment and renamed “In the meadow”. It’s probably one of the best song the combo ever produced. It’s the first release of a brand new label, Ruby records, launched by Ruby Ann and Tom Ingram and it comes in a beautifully designed sleeve. 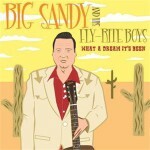 And what a better choice to lauch a label than Big Sandy? Even though it’s only a single and we desperately need a brand new album, it’s always good to have a new release by today’s finest purveyor of Rock’n’roll, the man with the velvet voice himself, Mister Big Sandy. Not to forget the Fly-Rite Boys who are Ashley Kingman on guitar (23 years or so of service), Kevin Stewart and newcomer Ricky McCann on drums. 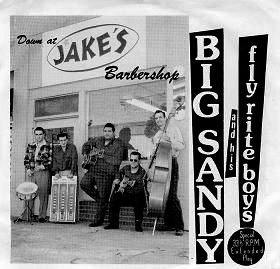 It was a very good surprise to see that Big Sandy and the Fly-Rite Boys had recorded this two sides at Wallyphonic studios with Wally Hersom at the console, like they did for their debut album. The A side is “Fine, Fine, Superfine” a good rocking’ song with a solid beat. This is not Robert Williams’ most original song but it completely fulfills its goal: make you dance, shake your head and tape your feet. The flip is far more original and is pure Big Sandy. It’s got the same highly melodic hook than song like “How did you love someone like me”, it’s smooth but rocking in the same time. This is a kind of tune that shows why Robert Williams has no equivalent in term of songwriting today. And with a first rate band like the Fly-Rite Boys, it’s a killer. Baby Baby Me – This Ain’t a Good Time – Missouri Gal – Don’t Desert Me – Nothing To Lose – Glad When I’m Gone – Parts Unknown – You Mean Too Much To Me – I Know I’ve Loved You Before – Three Years Blind – If I Knew Now What I Knew Then – What a Dream It’s Been. When an artist and a fine songwriter like Big Sandy breaks a silence of nearly seven years to release an album of “acoustic and newly arranged versions of old songs” one can reasonably have some fears. But fear not my friends; although it borrows a song from each of his records, -with the exception of the Jake’s Barbershop ep- “What a Dream It’s Been” is not just a quick re-recording of old favourites like it’s too often the case with that kind of project. The reason lies, in part, in the choice of the songs. 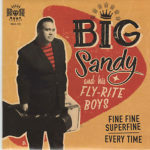 Big Sandy has dug deep in his discography to select lesser known songs than the one available on the two best-of released by Hightone and Rockbeat for example. And musically it’s an adventurous thing which is more a prolongation of the recent albums than the summary of a career. Thus it sees the band expanding the range of its styles to bring early ska and rocksteady (Baby Baby Me, I know I loved you Before) to the mix as well as bluegrass (This Ain’t A Good Time, Will You Be Glad) with Ashley playing mandolin and Jeff West providing harmonies, Country Soul (Parts Unknown), Mexican tinged stuff ala Marty Robbins (Nothing To Loose) and a jazz duet with guest vocalist Grey Delisle (What A Dream It’s Been). Big Sandy’s voice has never sounded so good and deep, particularly when he’s only backed by a double bass (“Don’t Desert Me”) or a guitar (You Mean Too Much to Me) and the acoustic format reveals the beauty of his song writing. It also puts a new light on Kingman’s skills. 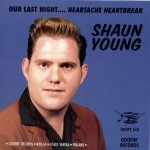 His talent shines throughout the album and is in large part responsible of the success of that record. In the end, what was supposed to be just a celebration of a 25 year career turns out to be a pivotal album in the band history as were “Jumpin’ from 6 to 6” in 1994 or “Night Tide” in 2000. 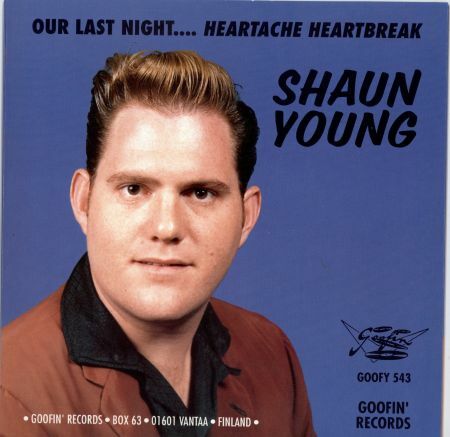 Power Of The 45 – Love That Man – The Great State Of Misery – Haunted Heels – Ruby Jane – Spanish Dagger – Mad – The Ones You Say You Love – You Don’t Know Me At All – Yes (I Feel Sorry For You) – Lonesome Dollar – Slippin’ Away – I Know I’ve Loved You Before – Power Of The 45 Pt. 2. I became a Big Sandy fan from the moment the needle of my platter played Hot Water the opening song of Fly Rite With, their first album back in 1990. In 2000, the dark mood of Nightide marked a turning point in Big Sandy’s recording journey and his songwriting. 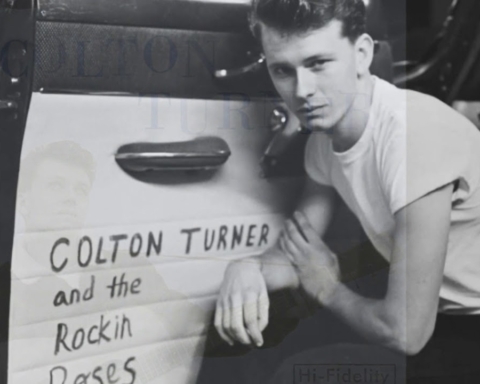 Having used the rockabilly and the western swing terminology and grammar for years, he freed his writing and went to a new level with no restrictions, creating more than re-creating. After It’s Time in 2002, Turntable Matinee is a deeper step in that direction. 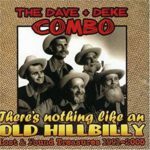 Still built around western swing type of songs like Yes (I Feel Sorry For You) with Lee Jeffriess back behind the double neck steel guitar, it takes that genre further and brings on some of these songs a late 60’s feel (The Great State Of Misery). 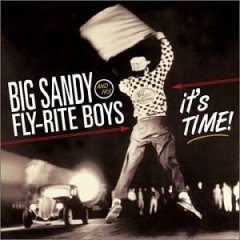 Straight rockin’ songs make a welcome return in Big Sandy’s set with Ruby Jane and the two parts of Power Of The 45 at the beginning and the end of the record, an ode to the band’s influences (Glen Glenn, Link Wray, Chuck Berry, Janis Martin, Etta James…). 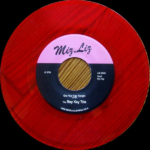 Between those two solid anchors you’ll find some latin / bossa nova (Spanish Dagger), a bluegrass inspired tune (Lonesome Dollar) and probably the biggest surprise: a Stax / Memphis soul masterpiece called Slippin’ Away with Cad Kadison on sax. And just when I was thinking Hey this is the first Fly-Rite Boys’ album without an instrumental tune came the hidden track, an instro version of Spanish Dagger. Finally it’s more than logical that after being produced by Dave Alvin for their first two albums as Fly-Rite Boys they now fit perfectly with the Blasters’ definition of American Music. Since the Fly-Rite Trio days the line-up has seen some changed but that didn’t weaken the band and brought new blood and forced it to be more creative every time. The best example is bassist Jeff West who is now a key member of the band : he wrote three songs (and one of the most beautiful song ever sung by Big Sandy You Don’t Know Me At All) and sings two. The musicianship is, as usual, faultless from Ashley Kingman’s inventive guitar licks and his questions/answers with Lee Jeffriess (especially on Yes(I Feel Sorry For You) to Bobby Trimble subtle drumming (listen to I Know I’ve Loved You Before and pay attention to his brushwork). This album is going to be hard to top but I’ve already said that about It’s Time so I don’t worry that much. ”It’s time” follows the beautiful but dark and sad “NighTide”. The line remains unchanged except for Jimmie Roy (Ray Condo’s Ricochets) who replaces Lee Jeffriess on steel. 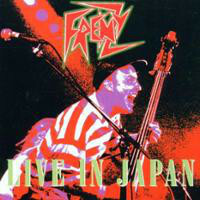 Entirely recorded live in the studio to capture the freshness of their first recordings, it’s also a much more varied album. 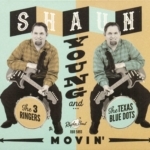 You can find classic Rock’n’roll ala Elvis (Chalk It up To the Blues), followed by the Cajun inspired “Bayou Blue” with Chris Gaffney on accordion and there’s even a surfin’ instrumental written by Ashley Kingman (Strollin’ With Mary-Jane). 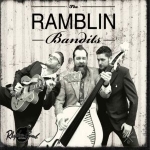 Of course their usual brand of hillbilly bop/rockabilly is still present with songs like I Hate Loving You on which Jeff West voice blends perfectly with Big Sandy’s. He also takes lead on the jazzy Money Tree which makes you regret he doesn’t sing more. 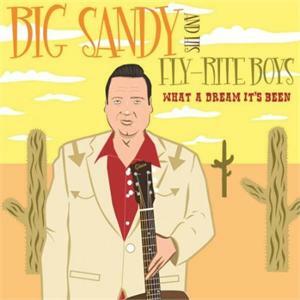 But Big Sandy remains the “real” singer of the band and the excellent “Night Is For the Dreamers” with its doo-wop atmosphere concludes the album in beauty. 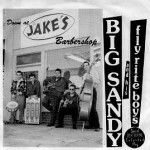 In 1992, steel player Lee Jeffriess joined Big Sandy and the Fly Rite Trio (Big Sandy, TK Smith, Wally Hersom and Bobby Trimble) that became Big Sandy and his Fly-Rite Boys. Shortly after that, Smith left the band. 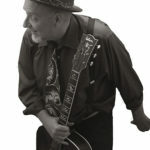 The toured Europe with Malcolm Chapman (Carlos and the Bandidos) on guitar before Ashley Kingman (Red Hot’n’Blue) officially joined the band in early 1993. In July of that year the new line-up recorded these four tracks at Wally’s studio for No-Hit Records. These four songs are the missing link between the “On the Go” and “Jumpin’ From 6 to 6“. They show the transformation of a tight rockabilly combo into a western swing machine that will culminate with “Swingin’ West” and “Feelin’ Kinda Lucky.” Here the mood of the day is more hillbilly bop with two originals on side A and two covers, Link Davis’ Fallin for You that features Carl Sonny Leyland on piano and Roy Hogsed’s Snake Dance Boogie.